Monaco coach Thierry Henry. — Photo supersport.com. 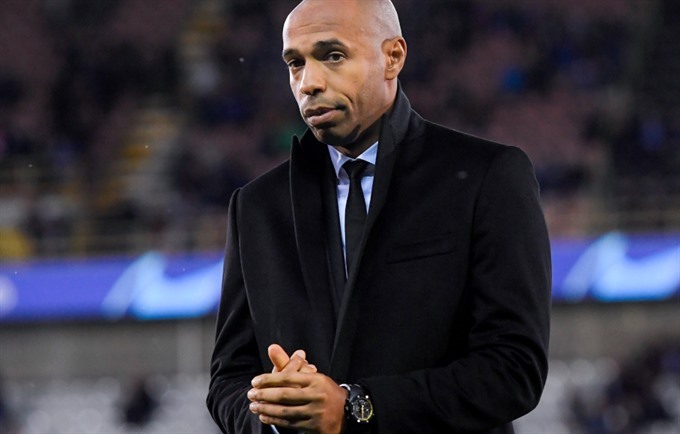 MONACO — Monaco coach Thierry Henry refused to look for excuses for his winless run at Monaco on Monday, insisting he and his players will dig deep against Brugge in the Champions League on Tuesday. "It’s a huge game," said former Arsenal and Barcelona striker Henry, who was Belgium’s assistant coach in the last World Cup. "We need the three points even if some might say we should have taken three in our last game too." "You can’t change everything in two weeks, but we shouldn’t think about it all too much," said the smooth-talking Frenchman, who began his playing career at Monaco. "Work is the key, each of us needs to look inside ourselves and work out what more we can do." "The changes are no excuse," insisted Henry, who took over from the sacked Portuguese coach Leonardo Jardim in mid-October. "It’s a mental thing but I’m not going to pretend this isn’t worrying, because it is," he said. "It’s up to us to turn things around with hard work." "I can’t pretend I’m not worried," said the 26-year-old right-sided defender. "It’s got into our heads, me as much as any of the others," said Sidibe, who sat beside Henry at the press conference ahead of Tuesday’s Champions League game they need to win to qualify for the Europa League by finishing in third place. "There are plenty of young players here and many off them have little experience.